I'm excited to be included in this show, which has an opening reception Saturday, September 28th from 2-4 p.m. 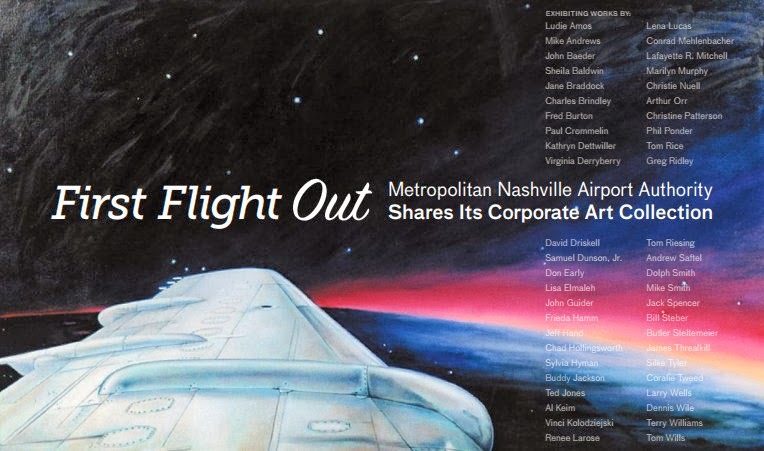 The Metropolitan Nashville Airport Authority has a wonderful collection of art and for the first time in its history, the collection is going to be on display somewhere other than the airport. 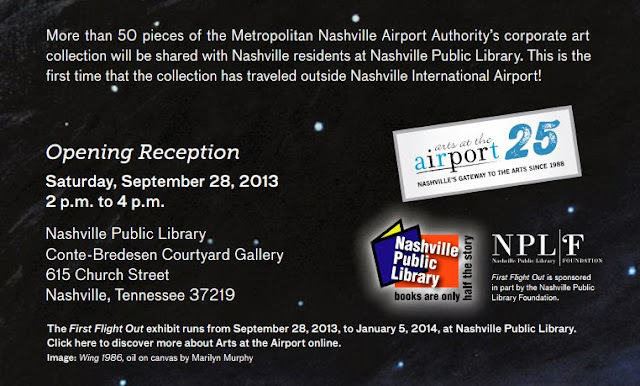 I hope you'll plan to attend the reception or at least view the show during its exhibit (through January 5, 2014) at the Nashville Public Library. The other day while walking from my house down to my studio, I was shocked to stumble upon this insect. Living in a rural area of Tennessee, I often encounter nature and its creatures in interesting ways, but I had never in my life seen anything like this. 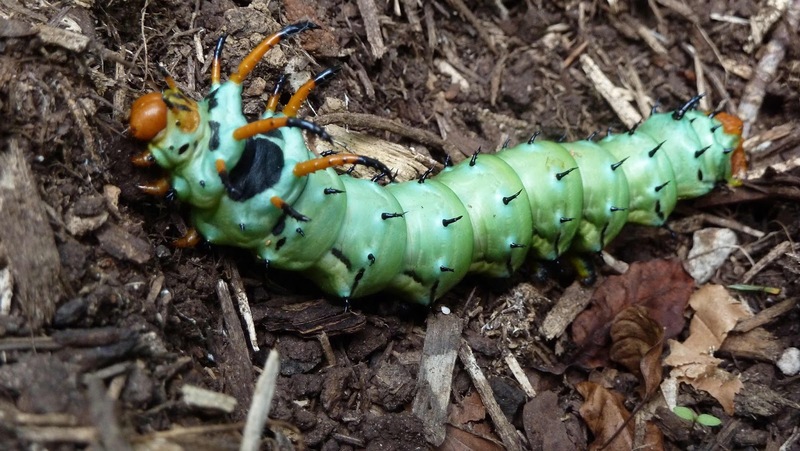 What you're looking at is the Hickory Horned Devil. It was 6 inches long and fatter than my thumb. The critter reminds me of what I used to see as a child when I'd visit my grandparents in the Caribbean and snorkel around coral reefs. Not only is the larva stage of this insect amazing to look at, it turns into the Regal Moth, which has a 6" wingspan. Things like this are what inspire me and give me hope. 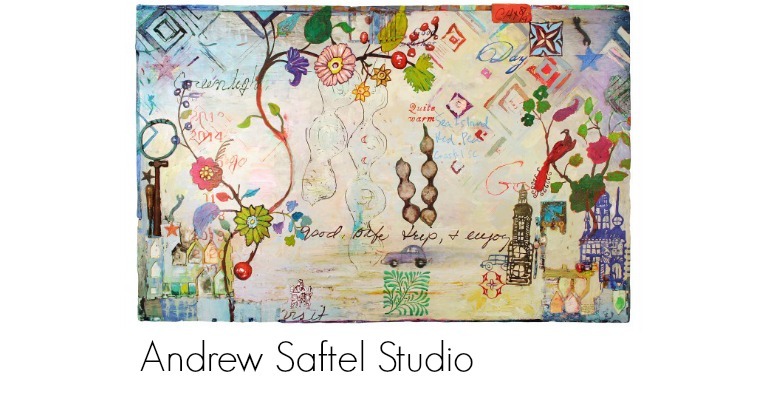 We live in a world full of fun and wonder, but it's only when we take time to really look for it.